TEK SEATING is a family run business which has been established since 1972. Originally based in Kingston, Surrey, the company relocated to Tunbridge Wells, Kent, where it has grown from strength to strength and now has a manufactuing facility in Rearsby, Leics, which is also a centre for all of our trimming work. TEK, the UK's largest independent vehicle seat distributor for the OEM and aftermarket, is part of the TEK Group, which also includes TEK Military Seating and SitSmart, the ergonomic office chair specialist. TEK Seating supplies a comprehensive collection of seats for the commercial, bus and coach, construction, agricultural, material handling, military, rail, minibus and marine markets, as well as providing a range of services from retrimming and repairs to a bespoke service for specialist seating applications. Our seats are designed to isolate the driver from vehicle vibrations and consequently reduce the likelihood of injury to the spine and neck. With back injury the second major cause of absenteeism from work, after the common cold, it makes sense to protect yourself and your employees. Our expertise is respected throughout our diverse customer base. Our trained staff are happy to quote for any non-standard or awkward applications, however large or small your requirements. 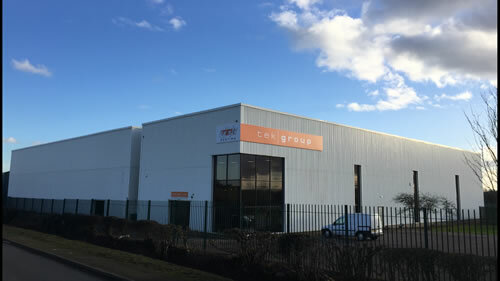 With our excellent after-sales service, advice and next day delivery on warehouse products, TEK is committed to providing a complete and reliable service to all our customers.